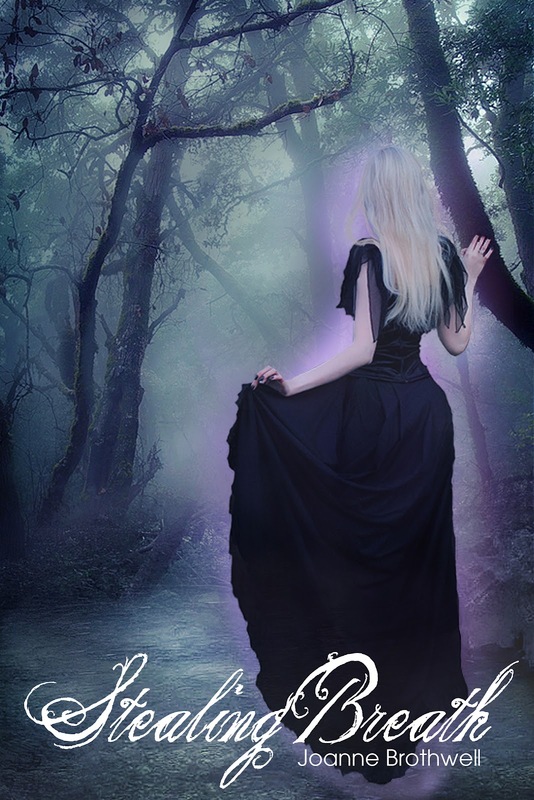 Darkest Sins: Stealing Breath Tour: Excerpt & Giveaway! 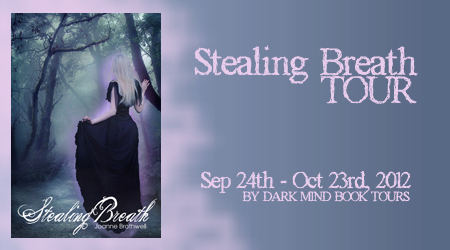 Stealing Breath Tour: Excerpt & Giveaway! This is the last stop for Stealing Breath Tour (by Dark Mind Book Tours)!! Welcome to Darkest Sins, Joanne! Joanne Brothwell lives in the country on the Canadian prairie where her stories are inspired by the dead things that appear at her doorstep on a daily basis. Of course, her two pets, a retired police dog with titanium fangs and a feral barn cat missing two toes, make the safety of surrounding wildlife, at best, uncertain. Nicknames are something Joanne has in abundance; most notably “Grumpy Bunny” (her husband), and “Princess with a Sailor’s Mouth” (her friends). She’s known to daydream, and ever since grade school has been accused of having a poor attention span. The truth is, Joanne has an alternate reality inside her head, where characters speak to her, sometimes so loudly (and incessantly) she just can’t hear anything else! Joanne is thrilled to see her alternate universe finally become real with the publication of her novel, Stealing Breath, and her prequel novella, Vicarious. 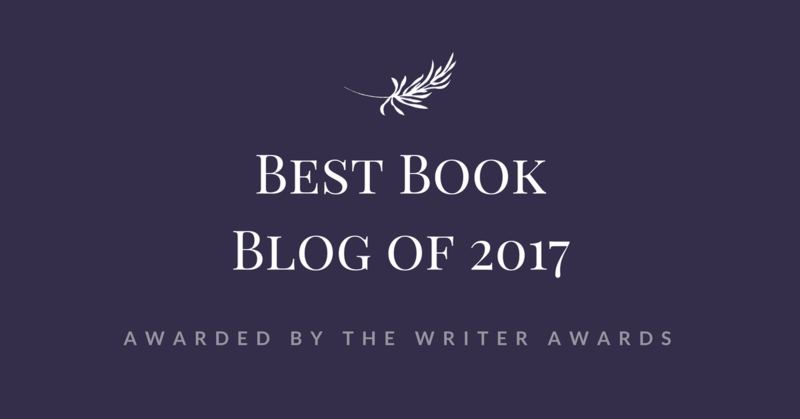 Now, with the sequel Silencing Breath on the way, you can be rest assured you will see much more of Joanne’s writing in the future, as those characters in her head, having tasted the sweet freedom of release, simply refuse to be silenced! 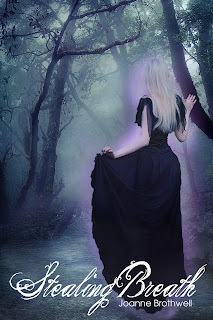 Here you can read the book summary: Deep in the backwoods of North Dakota, twenty-one year old Sarah Ross is searching for a missing child when she is attacked by a glowing-eyed, transparent... creature. Sarah survives, destroying the monster by using mysterious abilities she didn’t even know she had. Bloody and bruised, Sarah flees the scene and runs directly into Evan Valente, a handsome, charismatic stranger who helps her back to safety. But what is Evan doing out in the forest at five in the morning? 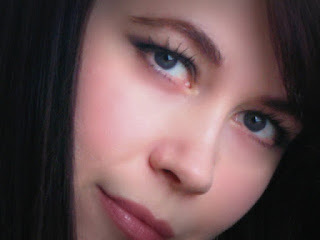 Turning to a healer, Sarah is shocked to learn her eyes bear the mark of the Indigo Child—an evolved human with the ability to feel the emotions of others. But her indigo aura also makes her an easy target for those who wish to consume her powerful essence. Soon, Sarah is falling deeply in love with Evan and wants nothing more than to follow her heart and trust that he is the man he says he is. But she can't ignore the lingering feeling that Evan is hiding a terrible secret. The deeper she digs, the more danger she faces, leading her on a course that will force her to face the darkest, innermost parts of her soul. Evan nodded, and we strode toward the exterior door. I glanced back to see Jeff running. He ran straight into Evan, knocking him forward. Evan hit the crash bar of the metal door, his body weight forcing it wide open so that it squeaked when the hinges were pushed to their limit. My heart jumped into my throat as he stumbled and fell onto the cement outside. Immediately, he righted himself and jumped back to his feet. “You’re going to wish you’d never said that,” Evan said, his voice a low, warning growl. Jeff snorted. “You’re in my town. You’re gonna regret having a mouth.” His arms rose above his head in some kind of attempt to look intimidating, but to me he looked like a bird about to take flight. Stepping forward, Jeff hurtled his fist toward Evan’s face but Evan snatched his clenched fist mid-air. I lunged toward them, placing one hand on Evan and the other hand on Jeff’s jacket. Instantly, the atmosphere around my head changed, filling with static. The lights above the entryway flickered, humming like dying bees before building into a sizzling pulse. With a bang, the lights exploded in a rainfall of glass shards. I ducked to shield my face. I opened my eyes and gasped. Jeff lay crumpled on the ground, his torso folded inward, his limbs pulled into a fetal position, moaning as he clutched his stomach. Then his face went slack, and his eyes rolled back into his head. Why was he on the ground? And why did he look like he’d been knocked out cold? I glanced around, but all I could hear was the retreating sound of footsteps running outside, the parking lot no longer lit up by the overhead light. Joanne is giving away two eBook copies of Stealing Breath!! Fill the Rafflecopter form below and on October 30th I will draft two lucky winners.